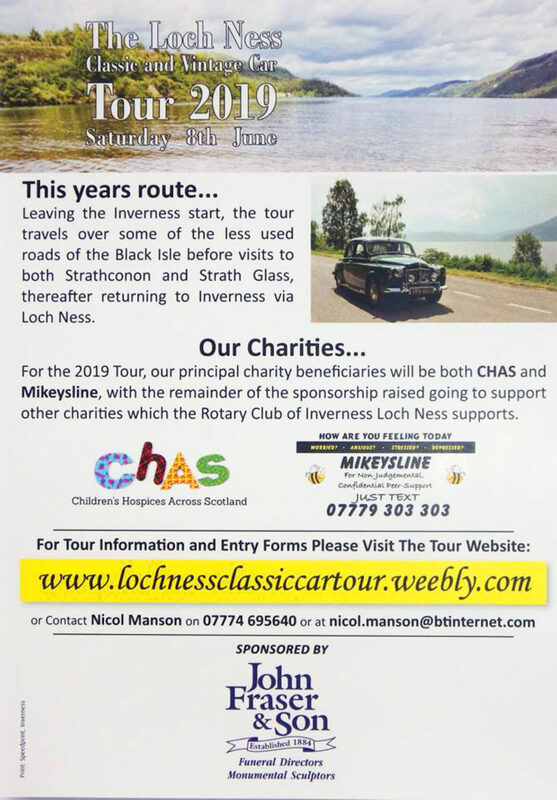 Here at JFS we are often impressed by the sterling work of our local Rotary Clubs and so we are really excited to be getting involved in this superb event organised by the Rotary Club of Inverness Loch Ness. Classic and vintage cars, sports cars, as well as classic and vintage motorcycles will cover 100 miles of spectacular Highland scenery on a variety of interesting and challenging A-class, B-class and unclassified tarmac roads - starting and finishing in Inverness, and covering the Black Isle, Beauly, Strathglass and Loch Ness. The principal charities to benefit from the funds raised by this event are CHAS (Children's Hospices Across Scotland) and Mikeysline - both of whom we were so pleased to support last year.